6 experts on being your best self, even in the middle of the festive season. It's mid-December, which means life is about to get a few degrees grumpier. Thanks to our unusually warm fall, it felt as if the holidays were never going to arrive, but now they're just around the corner—and so is seasonal chaos. In advance of your last-minute shopping, The FADER spoke with six experts about how to stay on top of your game during the festive season—even when you feel like hiding under the covers until it’s over. Below, an acupuncturist, a chef, a meditation teacher, a trainer, an outerwear designer, and a psychologist share their insider tips on swerving festive stress this winter. Happy holidays! 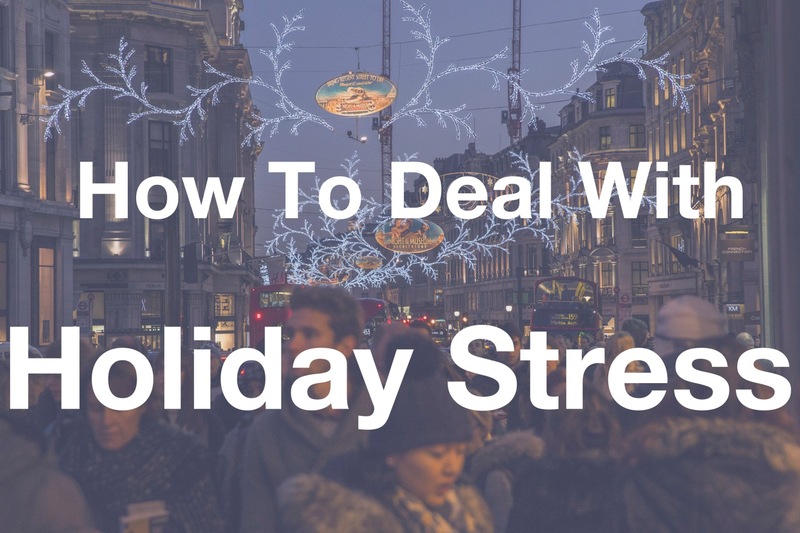 With so much going on, it's extra easy to get stressed during the holidays. Acupuncturist Mindy Pickard advises not to let it get to your head: "I tell my patients to keep it all in perspective. The season is supposed to be about giving, not necessarily expensive gifts, but rather time and consideration, a helping hand, a smile. I try to give myself the same advice I give my patients: keep it in perspective. It’s not about consumerism; it’s about family and friends and finding joy in the coldest time of the year." You might be stacked with holiday planning but making time to see friends isn't a luxury—it's important for your wellbeing. "I find that connecting with one's friends during the winter months is essential to mitigate seasonal affective disorders," Josh Korda, the head meditation teacher at N.Y.C. 's Buddhist collective Dharma Punx, advises. "Human beings are social animals, and we naturally regulate each other's emotions. The most detrimental element of cold and darker winter months is the tendency to isolate: entirely natural, though difficult emotions, such as loneliness, sadness, fear and anger, when they are not disclosed to other people, wind up amplified due to lack of interpersonal regulation." What you put in your body can also affect how well you deal with stress. Mindy Pickard opts for warm, soothing ingredients to fight the cold and feel centered. "I make sure to eat lots of warm cooked meals, like soups and stews and to include warming herbs and spices," she says. "I also recommend fresh ginger in tea for those who are particularly cold sensitive. At the sign of a cold, I immediate turn to my Chinese herbs and for the most part keep sickness at bay." In addition, elderflower extract is known for its anti-inflammatory and immune-boosting properties, which makes it a great tincture for this time of year. Stephanie Nass, chef and founder of the Victory Club, "rests as much as possible and drinks elderflower extract if my throat begins to feel scratchy." "I dislike how few hours of sunlight we have in New York in December, so I spend as much time outside during the middle of the day as possible," says Stephanie Nass. If you can take in that real vitamin D, while enjoying the beauty of the winter, everything will feel a little better. Pickard hates the cold too, but says, "I try to face cold sunny days with gusto. I try to find the beauty in nature during the winter months, the sparkling of the crystals of snow and the gray branches against the blue sky." Dwindling daylight hours are a total drag, especially because lack of sun can mess with your circadian rhythm. A way to combat those seasonal blues is to fill your home with light, as Josh Korda told us: "There are many remedies that work well, such as purchasing a full spectrum lamp, and keeping one's apartment as bright as possible." Taking time to do some stretching before you hit the shops will keep you calm and nimble. Senior SoulCycle instructor String recommends stretching the muscles to keep the body loose: "My go-to stretch when it starts to get cold is basic yoga," he says. "Downward Facing Dog and Child's Pose really focus on opening up my hips, taking any stress off my lower back, and keeps the flexibility in my knees." When you're running around in the cold, keeping your extremities covered is crucial, says Topo Designs founder Jedd Rose. "It’s really important to find a good set of gloves that are multifunctional, warm and work well in bunch of different scenarios so you can always just grab the same pair when running out the door." Rose advises that a good pair of gloves is essential because, "without gloves, being outside in the extreme cold (especially with snow) can be pretty miserable and intolerable. Even a bad pair of gloves can be better, but eventually cold fingers can ensue if they are poor quality or fit improperly. Good fit, insulation, water resistance and dexterity in a glove really make being in the cold much more enjoyable." If holiday shopping is too much of a bummer, remember that DIY presents are even better than store-bought ones. "My least favorite thing about the holidays is the shopping stress," says String. "I'm not a fan of crowds and malls, so I tend to stay away from Macy's and 5th Ave. To avoid the stores this year, I am most likely going to make some really good chocolate bark recipe and gift it to my family and friends!" A major component to maintaining wellness during the holiday season is "mentally welcoming it," as Jedd Rose says. "If you are in the mindset where you are looking forward to going out in the cold for a ski or even just a walk around the neighborhood it really helps. Going out and experiencing the physical battle against the cold and coming back inside to warm up make both experiences even better." One of the best ways to stay centered is to meditate and practice mindfulness to maintain your best self. Meditation teacher Josh Korda explains that, "mindfulness, to put it briefly, is a kind of non-judgmental awareness of the present that, unlike mundane awareness, doesn't prioritize our thoughts or fixating on the busy world that surrounds us. Rather, mindfulness focuses our attention to our internal experience in each situation: right now, in this moment, is my breath deep or shallow, fast or short: how does the ground feel beneath my feet or the contact sensations made by sitting in a chair? What feelings and moods are present? In mindfulness, we develop the skill of continually bringing our attention back to such sensations, learning to tame the mind's natural tendency to focus solely on its inner chatter and visual stimuli." It's important to practice being mindful, and keep at it, because the rewards are great. "Eventually mindfulness leads to a reduction of chronic stress, in that we can detach from unresolved issues, interpersonal resentments and ongoing dramas; when we learn to detach from the inner chatter, a whole realm of inner peace opens up." Psychologist Susan Walker recommends spotlighting the positive aspects of the season, and telling bad vibes to hit the road: "I very consciously remind myself to take a breath and not to over-schedule," she says. "I try to appreciate the pleasures, including finding or making nice gifts, and let go of the imperfections. It is very important to remember that everyone is stressed and more irritable and impatient. Don’t take that on. Focus on the things in your life that are working well and let go of the rest."